The hydraulic drives of the roller are protected and isolated to provide maximum performance and reliability. These hard-hitting units can deliver up to 4250kgs of dynamic force when operating at 95LPM. It’s versatility makes the roller highly effective on a wide range of materials including sand, gravel, soils and asphalt. 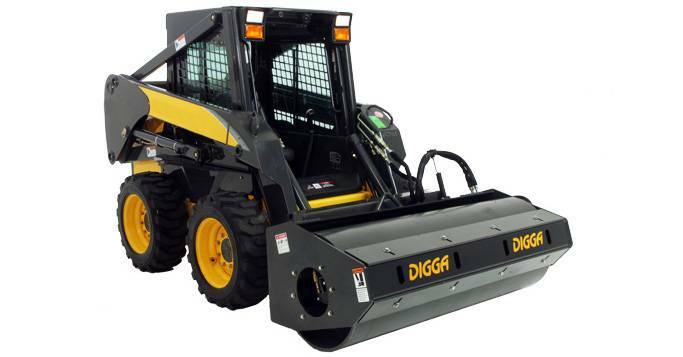 The Digga Vibratory Roller is available with a smooth drum or pad foot drum providing our customers with a productive and cost effective compaction attachment. The steel drum has an adjustable steel scraper blade between the frame and the drum, ensuring smooth and uniform compaction performance. Rental fleets, contractors, landscaping, roadways, walkways, bike paths, golf courses, bridges and parking lots. For pricing or more information about the Vibratory Roller fill out the form and we&apos;ll be in touch soon. Alternatively call (08) 9457 1544.